A tabouli recipe made with high-fiber and high-protein freekeh, parsley, basil and mint. Perfect for vegetarians, vegans or just a heart-healthy summer lunch. Freekeh is an increasingly popular ancient grain. I like a smooth and herbal tabouli, but if you'd like to fill it out a bit, add some canned chickpeas and sliced cucumber, and top it all off with some sliced black olives. Pair this tabouli with hummus and lightly warmed pita for a light and healthy lunch. Prepare freekeh according to package instructions, draining well. Allow freekeh to cool slightly, then toss with olive oil and lemon juice. Combine freekeh with chopped parsley, mint, basil and green onions until well mixed. Add tomatoes and season generously (don't skimp!) with salt and pepper. 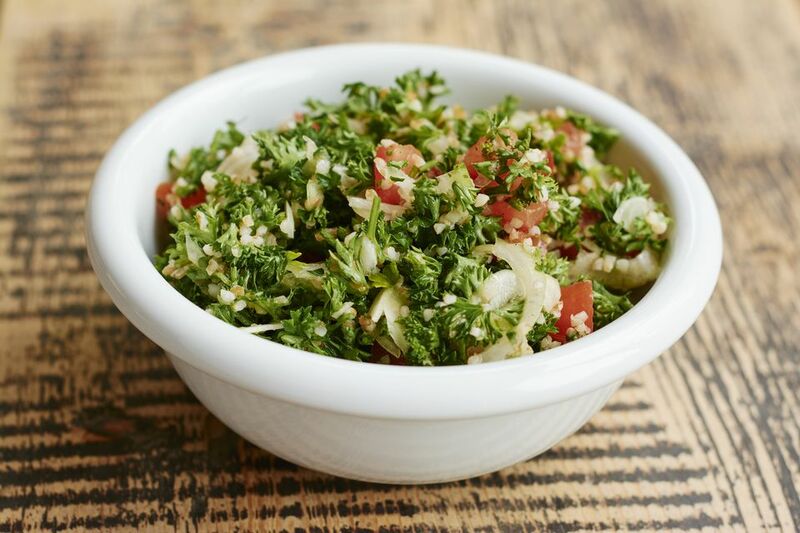 Tabouli is always best when it has time to sit before serving, to allow the flavors to really blossom. Toss again just before serving, and you may want to take a quick taste to adjust the seasoning if needed.